What is the “Befriend Project”? • Befriend is a project set up by the project team to help international fans (non Korean) who wants to support TVXQ by streaming digitally. • As we all know, Soribada has changed their website in a way that prevents international fan from signing up to their Korean service. While international fans are still able to purchase songs from Soribada (which will help digital charts), they cannot help stream through the site. How does the “Befriend Project” works? • Befriend is a partnership between Korean fans and non Korean fans. With Befriend, an international fan can get a “friend” who will then be their partner in streaming. • The Korean fan will then lend their partner a Soribada account to be used to stream. • While the Korean fan lends an account, the international fan must purchase their own a Soribada voucher order to stream each month. Please note that Soribada also blocks the payment of non Korean credit card, so physical vouchers may be the best solution. • The international fan can arrange some sort of purchase with the Korean fan, but the Project Team will also help any international fans who would like to order through the team. How can I sign up for the project? • You must first contact a fan community to get the “Certificate Number” in order to sign up. If you are a member of our participating or collaborating fan community, you can get the Certificate number from the admin of the fan community. 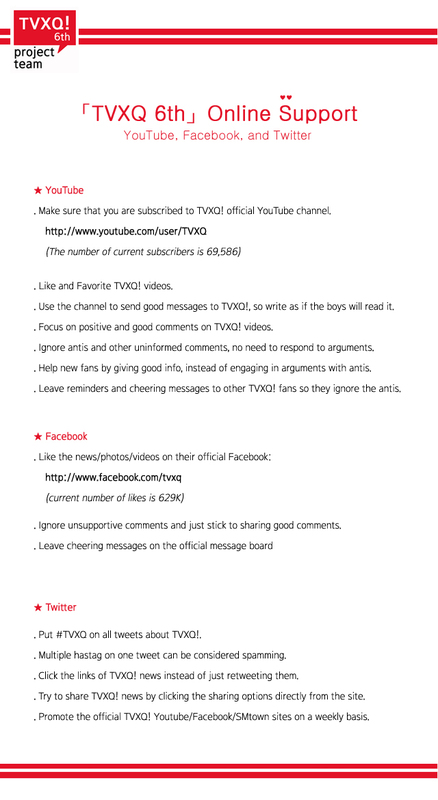 See the bottom of TVXQ.co website for the list of participating and collaborating websites. • Then, go to http://tvxq.co/befriend/befriendEnglish and click sign up. • Enter your email, the Certificate number and your password. • A verification email will be sent to your email account. • Go through with the link and verify your email. • You will then be prompted to sign in, and after you do, you can see your list of friends. IMPORTANT NOTE: The account should be exchanged via personal emails between the partners, and should be treated with respect and care. Please do not spread or give the account to anyone without notifying the Korean fan you get the ID from. § Music Bank Chart is calculated by combining the Digital Music Charts (65%), Album Sales (5%), Number of times broadcast on TV/Radio (20%), and Viewers Choice Charts (10%). § M! Countdown is calculated by combining the Digital Single Sales (50%), Album Sales (10%), Preferences of different age groups (20%), Global Fan Vote (5%), Number of times broadcast on TV/Radio (10%), and Real-time SMS Vote (5%). 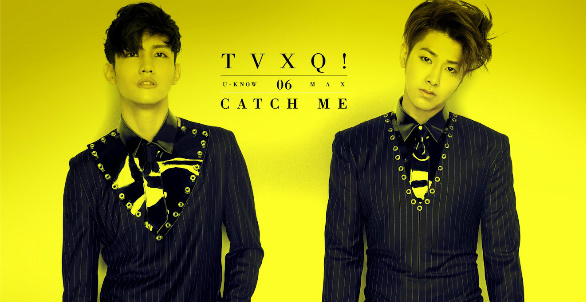 Don’t Forget To Purchase TVXQ’s ‘Catch Me’ Physical Album! Please buy TVXQ’s 6th album ‘Catch Me’! 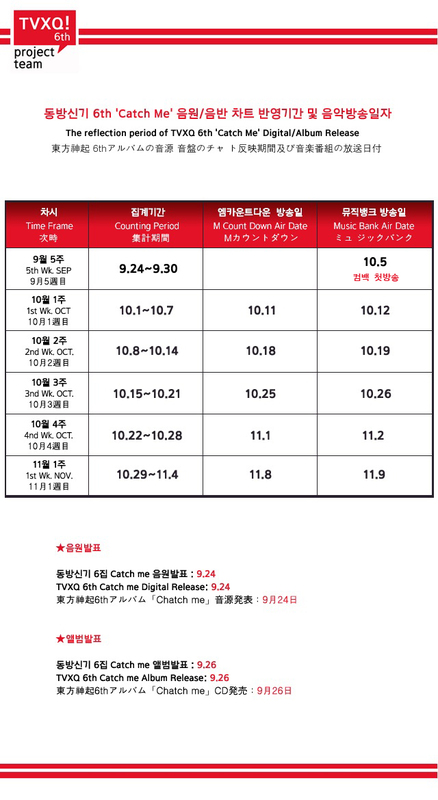 TVXQ’s 6th album ‘Catch Me’ is a great album with various genres that showcases TVXQ’s music flexibility. ‘Catch Me’ is released for both physical and digital purchase! Have you purchased the album yet? If you didn’t know yet, physical album sale is very important in South Korea. In South Korea, an artist’s dream is to win a Daesang as it represents the popularity and fan power of the artist. The competition for a Daesang is now fiercer than ever! and purchase the physical album if you can!